On Robot: Innovative Plug and Produce Grippers - Allied Automation, Inc.
On Robot provides innovative Plug & Produce grippers that help manufacturers take full advantage of the benefits of collaborative robots: ease of use, cost-effectiveness and safe use alongside human workers. 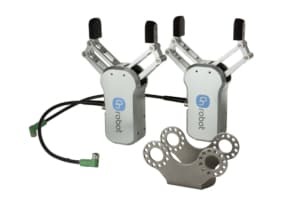 Their grippers mount directly on the robot arm, are highly flexible and are simple enough to be programmed and operating without the need for engineers, helping speed development and affordably automating processes. 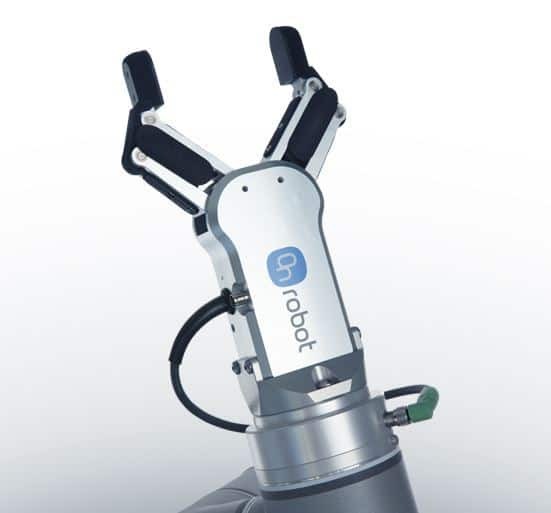 The RG2 collaborative gripper is Universal Robots Certified. 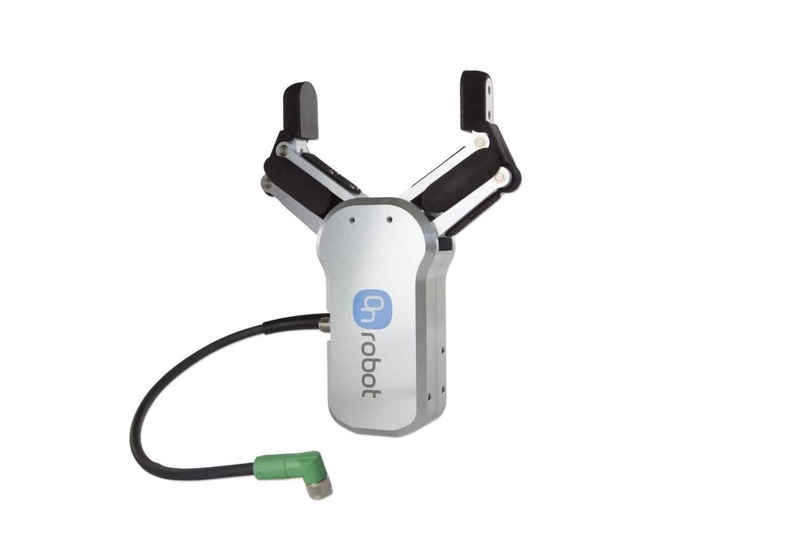 The RG2 collaborate gripper is an end of arm tooling designed for a seamless integration with all the robot arms from Universal Robots. The wide stroke and adjustable gripping force enables the RG2 to handle a variety of objects and sizes. With the RG2 there is no need for any external cables, external power supply or any additional integration packages. The RG2 collaborative gripper is also available in a precision configuration with features safety shields for the gripper fingers and a precision mounting bracket. The RG2 in this configuration is designed for tasks that require higher levels of accuracy and precision. RG2 is the truly Plug and Play solution. It works straight out of the box and into your production line. The Dual RG2 is a dual gripper configuration that allows two grippers to be installed on the same robot arm, still without any additional cables. The two RG2 work as independent grippers. 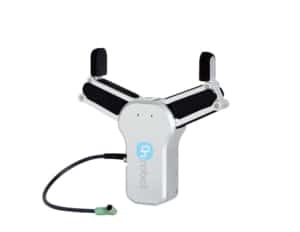 The dual configuration allows the robot arm to perform more complex task while notably increasing productivity, simply by being able to handle more objects at a time. RG2 is the truly Plug and Play solution. It works straight out of the box and into your production line. The new RG6 collaborative gripper combines all the unique features as the well-established RG2, with a 3 times higher payload, 120N gripping force and 160mm stroke. The RG6 gripper comes with a force of 20N, and can lift items up to 6kg. With a total gripping stroke of 160mm, the gripper can truly broaden the possibilities of today’s automation of production lines. The RG strong, but still as simple as the user-friendly as the RG2. The RG6 comes with safety shields and a single mounting bracket. Call us at 800-214-0322 for more information about our On Robot Grippers.